In 2018, new regulations in place at three Jeff Gural-owned Standardbred tracks and two WEG ovals will mean that any owner whose horse has a positive test will be banned from participating in stakes races for the entire year. According to harnessracingupdate.com, the Standardbred Racing Integrity and Accountability Initiative (SRIAI) is designed to inspire owners to make better choices in terms of their trainers. The drugs which will result in this stiff penalty include Class I, II, TCO2 and steroids. 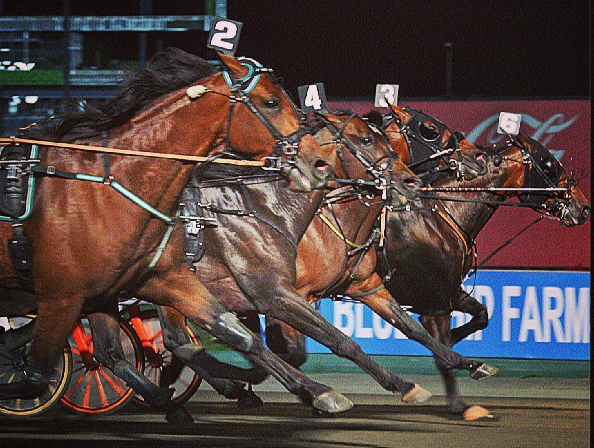 Owners will not be allowed to transfer their horses to another trainer, nor will they be able to sell the horse to a different owner; even if sold, the horse will remain ineligible to compete at Woodbine, Mohawk, Meadowlands, Tioga and Vernon Downs through 2018. “We want partners to say to their fellow partners, 'Look, I see that you've got horses with somebody that is riskier than the trainer that we have horses with together. It would be a terrible thing for there to be mistake, or something that's done, that could impact us all here. And, in particular, for me to suffer that bad consequence because you weren't careful and diligent in your choice of trainers,'” explained WEG chairman Clay Horner. This entry was posted in NL List, The Biz and tagged clay horner, Jeff Gural, Meadowlands, owner accountability, owners, standardbred racing integrity and accountability initiative, steroids, tco2, Trainers, WEG by Paulick Report Staff. Bookmark the permalink.